The 100-year old Certo building on Ontario Street is the site of a new medical cannabis dispensary operated by FV Pharma. Cobourg residents will have an opportunity to voice their opinions about the future of pot shops at a public meeting scheduled for Dec. 17 at 6 p.m. at Victoria Hall, Mayor-Elect John Henderson announced Friday. With a deadline of Jan. 22, 2019 to pass a bylaw allowing cannabis retailers to set up within the town’s boundaries or not, Henderson said there is a crunch for council to make a decision and get the public’s opinion. The new council will be sworn in at a ceremony on Friday, Dec. 3, but the first council meeting is scheduled for Jan. 7, 2019. The timelines are so tight, it does not allow the council to honour its public engagement policy, Henderson said. To do this, the council must move the dates forward to complete the necessary consultations, he added. 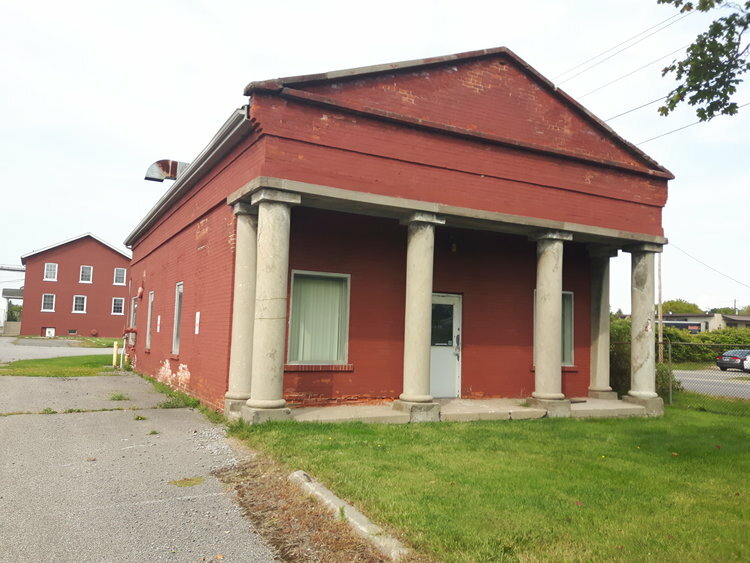 FV Pharma has already set up a dispensary in the old Certo building on its Ontario Street property, receiving its licence on Nov. 8. Politicians and dignitaries joined with executives from PV Pharma at a ribbon cutting on Oct. 8, when it announced it could be converting the historic 100-year old building into a dispensary. Henderson said this does not undermine the public consultations, since the dispensary falls under federal jurisdiction, not provincial. Municipalities have the ability to control the retail sale of recreational cannabis. The Ontario government set a deadline in January to decide whether or not municipalities will choose to allow retail outlets. Currently, residents can only purchase cannabis from a government-run website called Ontario Cannabis Stores (OCS). This will change in the spring when retailers will be allowed to sell cannabis products. Henderson promised to make all information available to the public at the meeting, including all relevant provincial and federal legislation. The mayor-elect announced the meeting as part of a wide-ranging interview as part of the current affairs radio show Consider This, Northumberland on the community radio station Northumberland 89.7 FM. Henderson also talked about the communication plan he announced in July as part of the campaign launch for mayor. At the time, he refused to provide details arguing his competitors could steal his ideas. Once he was acclaimed in August, he did not provide details of his plan until only recently. Several successful candidates, who won a seat on the council on Oct. 22, are in favour of increasing public dialogue and transparency, including a proposal to have a question and answer period after each council meeting. The original idea was raised during the last council’s term by the Cobourg Taxpayers Association, but it was rejected. Henderson said he is not in favour of the idea, but said it will ultimately be up to the new council to decide. As part of his communication plan, he hopes to introduce four annual forums where residents can come and have open discussions with councillors. Unlike the current delegations, which are limited to 10 minutes, the forums would allow for up to 20 minutes to speakers, he said. He also plans to set up a special website as mayor that will be completely interactive, including places for commentary, his schedules and other relevant information about his activities, Henderson said. He also hopes to introduce a new interactive software called Place Speak, used by several municipalities across Canada, which allows people to go online to talk about issues within the community. While the new ideas rely on technology, Henderson said people will still be able to come to public meetings, make presentations to the council, write letters and meet with councillors individually. He also aspires to change procedural bylaws, which he called constrictive to public engagement, such as a limit on the length of council meetings. He also wants to look at the public engagement policies to see what can be improved. He hopes to get all this done within the first few weeks of the new council officially meeting starting in January. In the interview, Henderson also spoke about his goals for council and for himself, as well as his plans for economic development and the waterfront. Please download the podcast or listen to it at the top of this page.